What a lot of people don’t realize is that many fashion design businesses have started out as just a small home business. In a lot of cases these businesses would even have been started from their kitchen table or spare bedroom. The fashion business is definitely a business which could be started from home and on a very small budget. Laura Ashley was one such designer who started her design business on her kitchen table in London. She went on to build a very successful international design business. Another international fashion designer whose fashion design talent was sown in his own home and at a very early age was the designer, Bruce Oldfield. They, amongst other designers, have inspired many to live out their dream of owning their own fashion design business and following their footsteps to success. The fun and pleasure of creating your own designs can start at any age. Once the fashion bug takes hold, it can be a very exciting and exhilarating time. The adrenaline will constantly being stirred by the creation and completion of new designs. These designs may have been inspired by the most unusual items, such as a brick, the sunset, an old pattern, an architectural building, or any item. 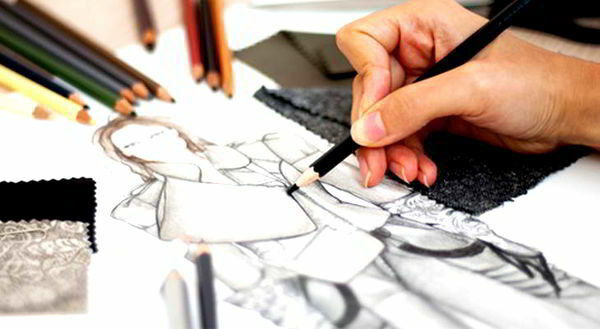 If you find yourself sketching or doodling designs on every spare piece of paper, then you most likely have a hidden talent yourself for being a fashion designer. Why not give yourself the opportunity to start a fashion business from your own home? You could specialize in various niches, including women’s clothing, full size clothing, gothic clothing etc. One way of starting your business would be to create a few samples of your designs and then promote them with the help of friends at house parties to find out if they are marketable. When you have completed this initial research, you should then take your new business to the next level, which would be to prepare your business plan. There are certain qualities required to run a fashion design business and two of the most important ones are, tenacity and determination. There will be many times when working on your fashion business that you will feel like giving up and this will be entirely because of the enormous amount of work involved. This is when the tenacity quality will be required. You will have to have enough determination to achieve all the dreams you have for your fashion business success.